--> the sweet and spicy Ssamjeang flavors especially created by Domino’s Pizza . 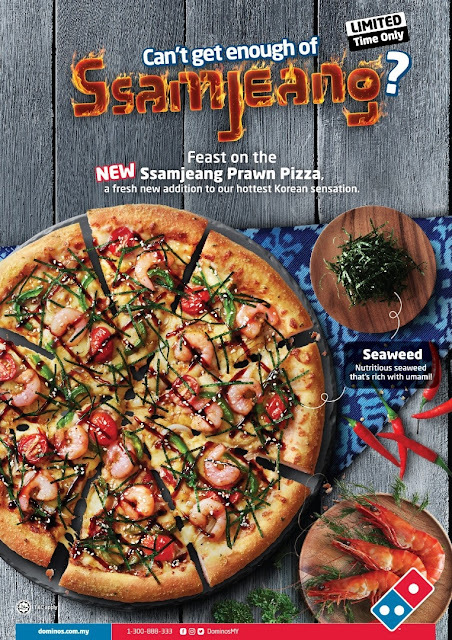 Hot on the trail of its popular Ssamjeang Pizza range, Domino’s introduces its latest addition, the new Ssamjeang Prawn pizza, the fourth variant added to the range. 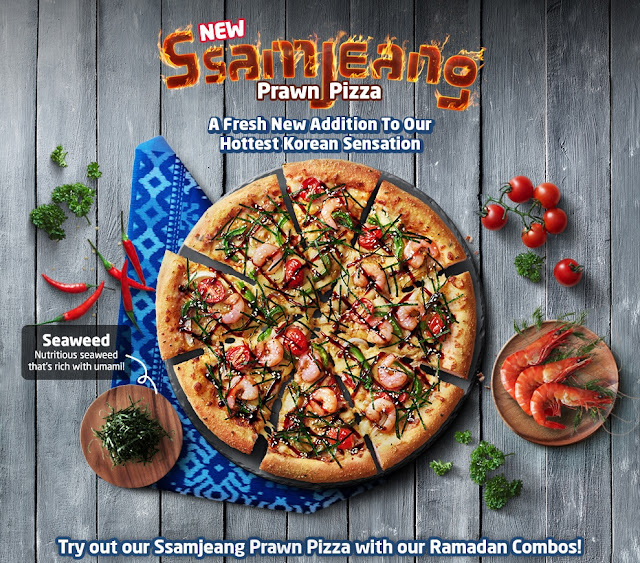 The brand new Ssamjeang Prawn is available at all Domino’s Pizza stores for a limited time only, from June 4 to July 1, 2018, while stocks last. Visit Domino’s stores, order online at http://www.dominos.com.my/, or call 1300-888-333 to make an order. To learn more about Domino’s Pizza Malaysia’s Ssamjeang Prawn Pizza as well as other ongoing promotions, visit http://www.dominos.com.my/.